How Groupama reduced its check-in times by 40% using Qmatic Orchestra – Integrit-System S.R.L. 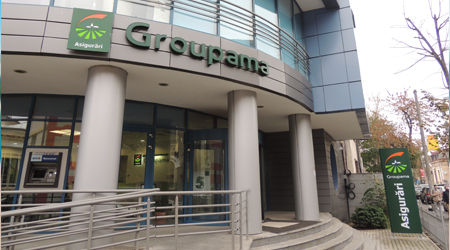 “Groupama is a company which pays a great deal of attention to its customers’ needs,” Bisogno continues. “To improve the experience at the Claims Settlement Centre, we therefore turned to Qmatic, a company that specializes in the Customer Experience.” To effectively connect Groupama customers with the correct services, the Claims Settlement Centre implemented Qmatic Orchestra, a platform that manages all contact points with the customer in an organic, flexible and personalized way. With Orchestra, the Claims Settlement Centre journey begins at the check-in (selfservice totem) where the customer can select the relevant department in a swift and intuitive manner. This check-in counter also displays relevant information about waiting times and directions (Wayfinding). 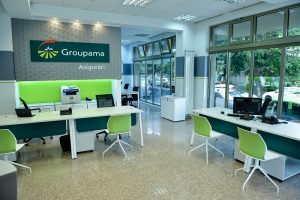 During the waiting period, at each point of contact, Groupama Insurance continues communicating with customers, showing them videos, images and specific marketing messages via all of the available devices (display, monitors, touch screens, etc.). Branch managers can create and update their own media using a special playlist configuration screen. Through the Business Configuration system, Orchestra manages the user flow according to an automated procedure, optimizing the performance of its advisors who can then work at a suitable speed. At the same time, operators use a monitoring screen to view information about the flow of users in the queue. In short, whereas before they were “passively submitting to” the flow of customers, they now have full control over the situation.